My son has been gluten-free for 12 years, so I pretty much have a Master’s Degree in trying to find deals on gluten-free products. When we started out, there wasn’t even a Whole Foods nearby – I was ordering everything online and it was quite pricey. Sales of gluten-free food and drink there have surged from $5.4 billion to $8.8 billion over the past two years. They are set to grow a further 20% by 2015. Which means you can find gluten-free foods in every store. The variety is better, the convenience is better, the taste is unquestionably better and even some of the prices are more reasonable. 10 tips to go gluten free without going broke. 1. 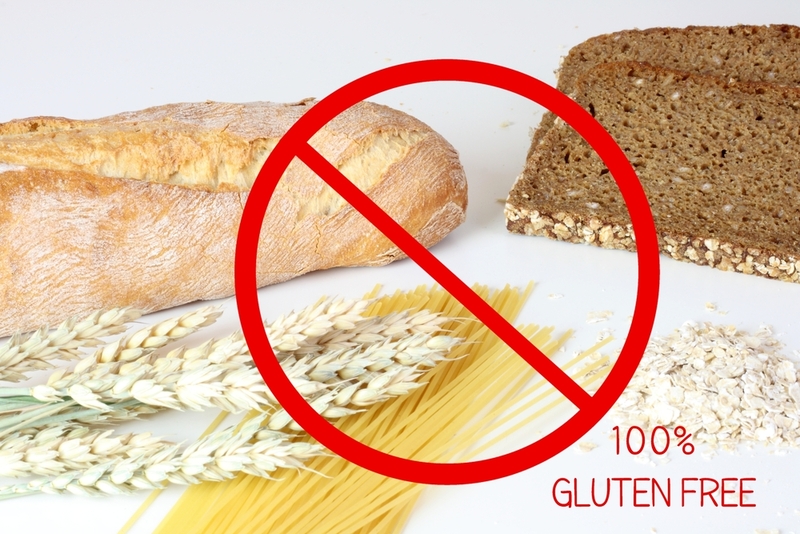 Skip gluten alternatives when possible. If you eat fruit, vegetables, rice, any kind of meat, fish or protein, you will have a balanced meal. When my son first tested positive for a gluten allergy, I scrambled to find all kinds of ways to substitute gluten. Gluten free bread. Gluten free pasta. But it’s easier and less expensive to eat whole foods that do not contain gluten. That being said, as I write this, his birthday is tomorrow, so I’ll be making a gluten-free cake because some occasions call for gluten substitutes. 2. Gluten-free foods from Costco. It’s cheaper to buy in bulk. Gluten-free foods have become so mainstream that you can even buy them from Costco now. Queen Bee Coupons offers a comprehensive list of items. 3. Whole Foods’ case discount. The standard grocery case discount is 10% off purchases of full cases of grocery items. So if there are certain gluten-free mixes or products you prefer, why not stock up? 4. Trader Joe’s Gluten-Free section. TJ’s has lots of gluten-free foods at a fraction of Whole Foods or specialty store prices. My kids think their new chocolate chip brownie mix is the best – even my picky daughter who usually turns her nose up at anything GF. Years ago when I was working with a personal trainer, she told me that rice pasta is a better carb than wheat pasta. I’ve been hooked ever since. Trader Joe’s has rice pastas, corn pastas, and rice and quinoa blend pastas for considerably less than Whole Foods. 5. Check out your local dollar store. I have found fantastic bargains on brand-name gluten-free bread, dough, and mixes at my local 99 Cents Only Store. It’s not often, but when the items are stocked, you can be sure I fill my cart! 6. Substitute pasta for veggie spaghetti. 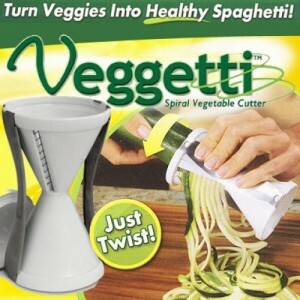 Perhaps you’ve heard of the highly-rated Veggetti spiral vegetable cutter? It’s easy to use and makes for a healthy alternative to traditional pasta. You can also mix it with pasta, the way they do at the California Pizza Kitchen. The Veggetti is only $11 on Amazon. Sometimes it’s just easier to buy a gluten-free pie than whip one up on your own. But it’s far less expensive to do it yourself, even if you’re buying a ready-made gluten-free crust. 8. Learn to love quinoa. Quinoa is everywhere these days. It’s a very versatile grain that can be mixed with rice or served by itself. Costco even has a terrific freshly-made quinoa salad that everyone in our family enjoys. When Whole Foods ran out of my favorite mix, I was able to find it on Amazon for a little bit cheaper. Add free shipping and that’s a score. Here is Amazon’s Gluten Free page. 10. Check out recipes that avoid flour of any kind. My kids LOVE this peanut butter cake that’s easy to make and needs no flour at all. For more on how to be gluten-free on a budget, see out this earlier BB article, 11 Tips to Eat Gluten-Free On The Cheap. How do you eat gluten-free cheaply?